There is a policy excess of £50 applicable to each and every claim (this is the amount you must contribute towards the claim). The excess fee for all claims which must be paid before your claim can be approved. Essential – Each insured gadget is covered up to £600 per claim. Single items policies have a maximum claim limit of £1,200 in any one year. There is no limit to the number of claims that may be made under our new multi item policy. 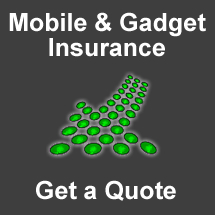 Each insured gadget is covered up to £900 per claim. Single items policies have a maximum claim limit of £1,800 in any one year. Each insured gadget is covered up to £1,200 per claim. Single items policies have a maximum claim limit of £2,500 in any one year. The limit per year for Digital Download Insurance is £1,000 in addition to these limits.